Elite Sports Ohio is proud to announce our 2019 Summer Training Series. This training series will focus on the development of volleyball skills over weekly training. We have a wide variety of indoor and beach training for athletes. The Peppers Volleyball Program is for all athletes in 3rd and 4th grade. In addition to teaching volleyball, the league will strive to develop motor skills, hand-eye coordination, and improve listening skills all within a safe and social environment. This league will include warm-up games, and an introduction to all skills used in volleyball, including passing, setting, hitting, and serving. Team play will be introduced. This camp includes t-shirt. Training Series designed to give all athletes quality instruction, touches, and even some match play. Perfect fit between club and school season. This program is designed for 6th-9th graders. Elite will utilize instruction-based training for drills and skill development. Then athletes will be put into team/groups to focus on team play and game like situations. This program includes t-shirt and entry into the Summer Slam Tournament. Training Series designed to give all athletes quality instruction, touches, and even some match play. Perfect way for athletes to learn the game of sand volleyball. This program is designed for 6th-9th graders. Elite will utilize instruction-based training for drills and skill development. Then athletes will be put into team/groups to focus on team play and game like situations. This program includes t-shirt and entry into the Beach Bash Tournament. Elite Sports Performance Training is a four-session program developed for athletes looking for advanced training. Advance Position Academy will give athletes an opportunity to train with advanced position specific drills, small group training and competitive game play. While also focusing on strength and speed and agility. Elite Sports Ohio is proud to announce our summer multi day camps for athletes that want to work all their skills before their tryouts. Our staff offers training to prep athletes for the school season. 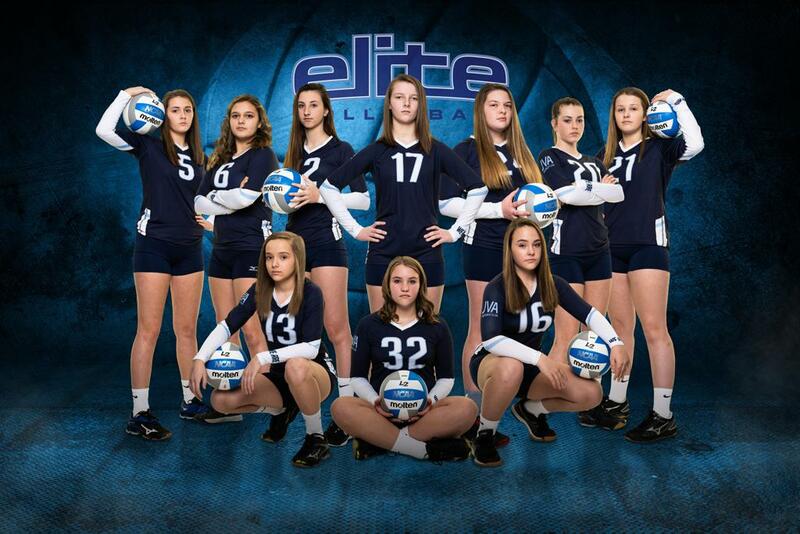 Elite will be offering an exclusive camp for athletes that want to refine their skills before your schools tryouts. You will be instructed in all the elements coaches are looking for at tryouts and the major skills. Work on your serve, approach and arm swing and defense. All three courts have instruction from Elite Tier Coaches. This camp includes t-shirt. This camp will work on the on the major skills of volleyball. Campers will strengthen their fundamentals, develop proper mechanics, and gain valuable game-play experience. Focusing on Serving, Passing and Hitting. This is great way to focus on your skills. This camp will be instructed from Elite Tier Coaches. This camp includes t-shirt. This camp is for athletes that are getting ready to try out for their school teams. Elite staff will prepare athletes for what they will see at their tryouts. Come join us as we put player through a mock-tryout while developing the skills to help these athletes get the edge over the competition. This is a two-day camp on Tuesday and Thursday. Elite Sports Ohio is proud to announce our position specific camps for the 2019 summer session. Our position specific camps encourage and promote development through each age and ability. Specialized training begins to help the athlete reach individual success. These position specific camps will be run by our Elite Tier Coaches. This camp’s focus is emphasizing the upper body and core mechanics of hitters. This camp will break down the hitting mechanics of athletes focusing on core rotation, upper body dynamics and hand contact. We will encourage skills to make the athlete a more effective hitter. Courts will be divided for specific abilities. This camp’s focus is emphasize attacking mechanics to create a more effective hitter. This camp will break down hitting mechanics, focusing on developing fast lower body mechanics to generate more speed and power in the athlete’s approach and jumping mechanics. Courts will be divided for specific abilities. This camp’s focus is geared to teach athletes proper platform and movement patterns and defensive pursuit. This will teach athletes to become more consistent defenders. An extensive amount of time will be spent on both technical training and repetitive work. Courts will be divided for specific abilities. This camp will focus serving and passing techniques that will allow athletes to become more effective and consistent. Emphasis will be put on jump float serving and serving for accuracy in all areas of the court, while focusing on passers movement and proper body position and footwork. Courts will be divided for specific abilities.